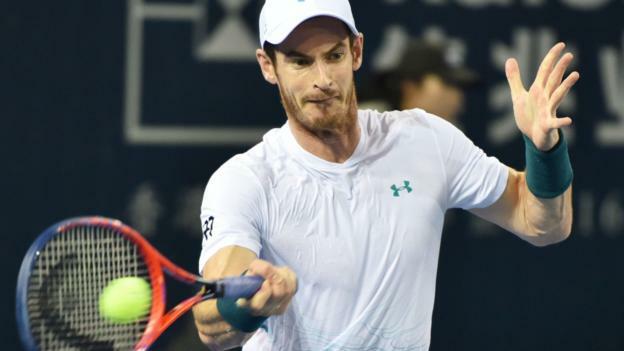 Andy Murray’s progress in the Shenzhen Open ended with a straight-set defeat by fifth seed Fernando Verdasco. Briton Murray beat world number 11 David Goffin on Thursday to reach the quarter-finals and defeat his highest-ranked opponent since returning from almost a year out after hip surgery. But the 31-year-old former world number one lost 6-4 6-4 to Spanish fifth seed Verdasco in the last eight in China. Compatriot Cameron Norrie is also out, losing to Yoshihito Nishioka. Norrie, the world number 73, was beaten 7-6 (7-2) 6-2 by an opponent ranked almost 100 places below him. Murray, a three-time Grand Slam winner, has slipped to 311th in the world as a result of his lay-off. The tournament in China was his sixth since returning in June and he will compete once more – at the China Open in Beijing in October – before ending his season early. It was Verdasco who beat Murray in the second round of the US Open and, after this victory in an hour and 39 minutes, the 34-year-old will go on to meet Japan’s Nishioka for a place in the final.